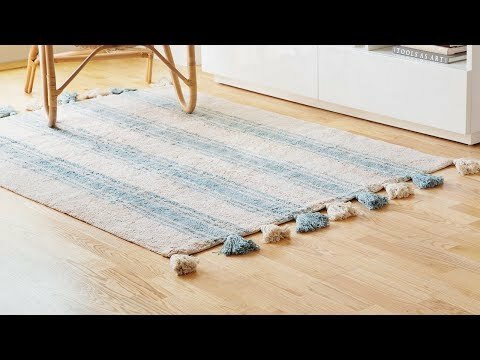 This beautiful, washable rug will withstand dirt and stains with grace. Run it through the wash to clean it up and keep it looking like new. 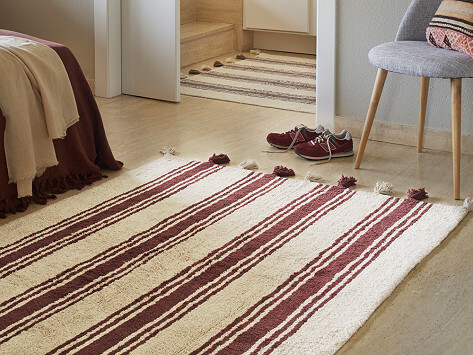 The striped pattern has a Mexican-serape vibe and comes in rich (yet neutral) tones that add warmth to any room. Plus, each one is handmade in India by artisans for fair wages using hypoallergenic cotton and all-natural, nontoxic dyes.